A telephone conversation was recorded allegedly between Kerala Congress state general secretary Thampanoor Ravi and solar scam accused Saritha S Nair, in which Ravi tutored Nair before her deposition before a judicial panel, reports The Indian Express. In the recording, aired on news channels in Kerala on Wednesday, Ravi supposedly told Nair that her statement before the commission should be in line with Kerala Chief Minister Oommen Chandy had told judicial panel. 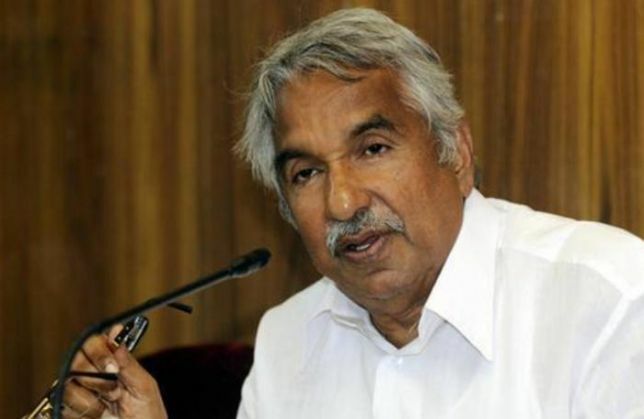 In his statement, Chandy had said that he had met Nair three times. Nair and Ravi both told the news channels that they had indeed had a phone conversation on Tuesday. Nair said someone she knew may have recorded it. The transcript of the recording is as follows. Ravi: Saritha, you should be able to answer questions very well. You should say you had not met Chandy in Delhi. Ravi: Two times in office and another time on a stage. You should watch what our man (the government counsel) says. Nair: Okay, okay. My statement would be recorded tomorrow. Ravi: Saritha, you should be careful. while answering questions. Nair: That cross-examination by Bjiu (Radhakrishnan, co-accused). Ravi: Yes, that scoundrel. He would be trouble. The statement should be very safe. Nair: Okay sir, I understand. Ravi: When is the examination slated for tomorrow? Ravi: Yes, yes, read today's (newspaper) Mathrubhumi. Nair: Okay, I will. One website has given Chandy's full statement. Ravi: What will you say? Nair: That is a personal issue. It was not related to this issue. In the recording Ravi supposedly advised Nair to consult the government counsel before making her statement to the panel. She replied that she would meet the counsel directly in case the phones she and the lawyer used could be tapped.